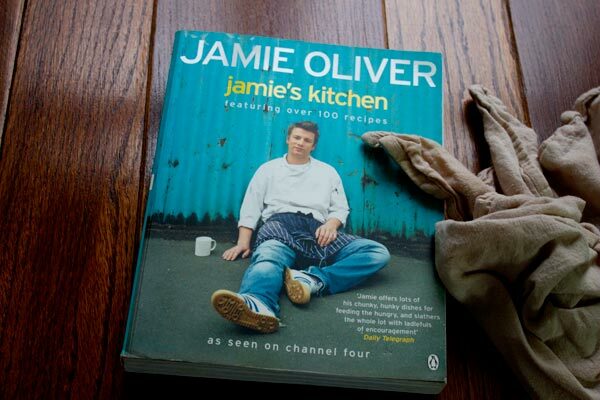 This recipe is from Jamie Oliver’s Jamie’s Kitchen. Diet be damned! It’s sure looking funky alright… but I love it! O.K. this is the most ridiculously simple recipe. But it’s so good. So even though there are four other gluten-free desserts in this book I decided to go with something very easy that I think many people know already and like. This recipe is from Jamie Oliver’s Jamie’s Kitchen. I think this might also be called a Brown Cow. Funky Coke Float definitely sounds better though. A small change here is that it’s topped with sugar encrusted pecans and almonds. 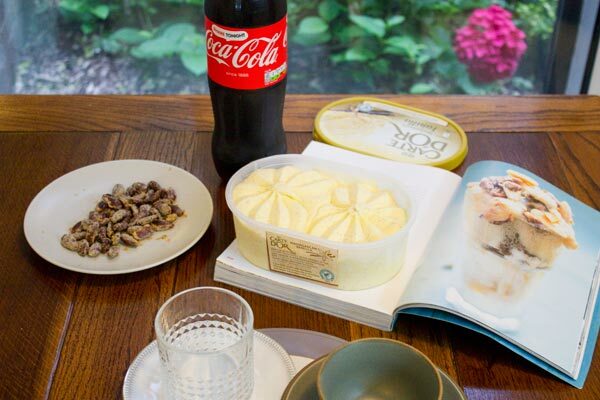 Coke, vanilla ice cream and candied nuts. To sugar coat the nuts, rinse them in water, shake off the excess, mix with plenty of icing sugar until they are sticky. Line a baking sheet with oiled baking paper and then bake the sticky nuts at 180 C for 15 minutes until golden and crusty. Allow to cool for a few minutes. 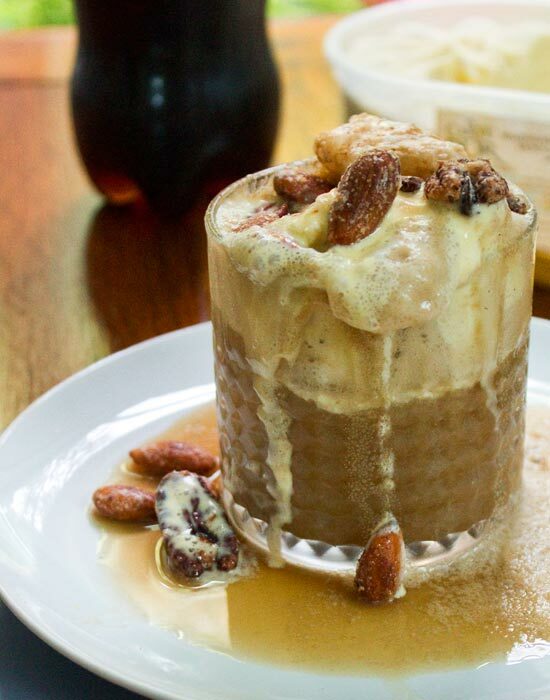 Add a couple of scoops of icecream into a glass, top with coke and sprinkle over some sugar coated nuts. For a more grown up version replace the coke with espresso. 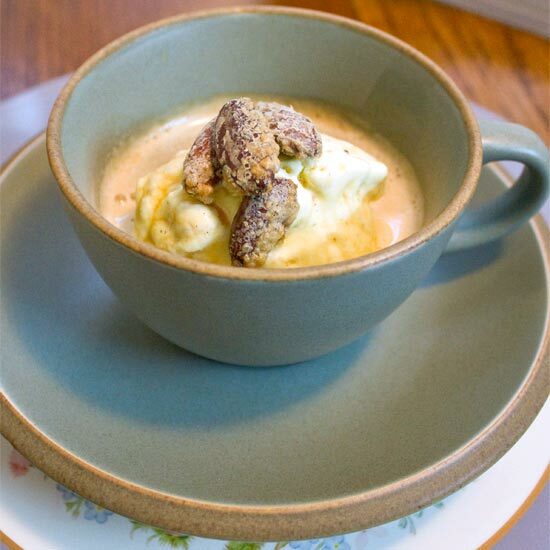 It’s so simple but a scoop of vanilla ice-cream in a hot shot of espresso is a great dessert.